[top 10; 1-5] cast friendships ; your 最喜爱的 ? [top 5] male characters ; your 最喜爱的 ? what A message was send whilst the girls were at ali's funeral? why did Mona go to radley? 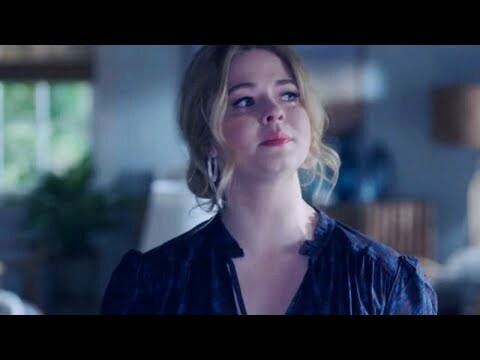 who do u think kill alison? i know the answer.. Which Olympic athlete guests stars on one of the Season 3 episodes of pretty little liars? This is my theory of 3 girls being buried "that night." NOTE: Again, this is my own personal theory that doesn't make this true 由 any means but I think this is my only theory that I have so far, that could end up being true..
1. Sara Harvey went missing around the same time Alison did. This is my theory on one of my AD suspects. One of my biggest suspects is Jessica/Mary Drake. Here are my reasons as to why. 1. Jessica is actually alive, and was the one who actually killed Mary. Why? Jessica was always nasty towards Mary when they were younger. 2. Mary took Jessica's place when she was babysitting. Jessica BLAMED Mary for the death of the young child. Mary was sent away because of this. Why do 你 smile like you've been told a secret? NOTE: This is a THEORY let me know what 你 guys think..
Obviously the twin theory also exists in the 显示 (like in the 图书 only it's not Alison/Courtney) it's Jessica and Mary. I actually think YES! Paige can be Uber A, and below will be my reasons. (First I'd like to say I actually think my number one suspect of Uber A is actually one of the liars, but I'll save that for another time. This is only about why I think this is Paige. It doesn't mean I'm actually right). 1. She TRIED TO DROWN EMILY!! Why would 你 try drowning someone, then just fall in 爱情 with them? Sketchy? I think YES!! That's like a woman falling in 爱情 with her kidnapper/person who tortures you. Doesn't happen! it is really funny cuz like u know they buried alison but she is allliiiveee! This isn't my theory, but I agree with it, so I'm posting it. Though it might seem a bit all over the place. So throughout the seasons Melissa Hastings has been shady, not only is she shady, but she tends to disappear for long amounts of time. The theory here is that Melissa Hastings made up Bethany Young as like a decoy type thing, and that would explain why when Mrs. DiLaurentis took her to the stables, she was using the riding hat that had MH written in it. Who else did Ian cheat on Melissa with besides Spencer? 30 日 Pretty Little Liars Challenge! Need Help! Flying to UK and wanted to download Pretty Little Liars from 亚马逊 and save on my Laptop!